Some know it as Clinton; others call it Midtown West. The most evocative name of this NYC neighborhood, however, is Hell’s Kitchen. The foreboding moniker is variously claimed to have derived from different sources. Perhaps the most credible is from a New York Times reporter, who came here in 1881 to report on a multiple murder. 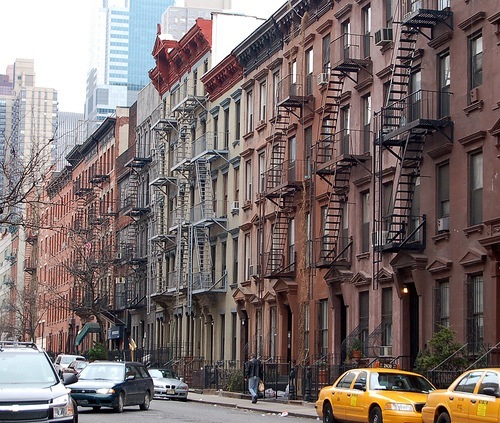 Like much of NYC, the grittiness of Hell’s Kitchen has long since been sanded down. 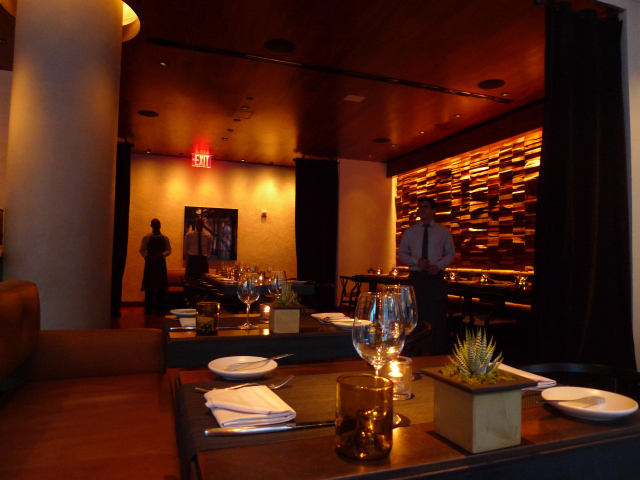 It is now a gentrified, yet homey district; boutiques, world-class cuisine, and luxury midtown rentals. Original fashions, housewares, and knick-knacks are in abundance in Hell’s Kitchen. The weekly Flea Market puts on a spread of antiques, vintage clothes and sleek furniture. Boutique stores like Monarch Boutique, and Delphinium Home allow you to find clothes that are not in your everyday store. Hell’s Kitchen has long attracted acting and entertainment types. The area has been a home to Jimmy Dean, Bob Hope, Larry David and Alicia Keys. There’s something about this area that inspires people to create. It’s also home to the renowned Actors Studio, which has seen innumerate stars-in-the-making pass through its doors. The Baryshnikov Arts Center and the Alvin Ailey American Dance Theater reside here too. Currently, shows like The Colbert Report and The Daily Show are filmed at studios in Hell’s Kitchen. Being in the heart of the Theater District, it’s always easy enough to find quality drama, music and improv comedy any night of the week. While its name might suggest the cooking isn’t quite up to snuff, but Hell’s Kitchen actually has some of Manhattan’s best eateries. Print (653 11th Ave.) does a great line in farm-to-table cuisine; the Italian restaurant Esca (402 W 43rd St.) serves exquisite dishes of spaghetti and lobster; La Silhouette (362 W 53rd St.) is a Franco-American fusion establishment, producing exciting cuisine you won’t find anywhere else in Manhattan. Ninth Avenue, meanwhile, is a renowned hotspot for ethnic cuisine; here, you can pick up anything from Caribbean to Chinese, and Italian to Irish. When it’s time to hit the dance floor, Hell’s Kitchen provides. Some of NYC’s biggest dance clubs are here; notably Pacha and XL. If you want to sip an after-work cocktail, bars like Rudy’s Bar and Réunion afford boast relaxed environments in which to do so. Though it’s just a stone’s throw from some of Manhattan’s busiest areas, there’s a beautiful tranquility to the district. Most of the side streets in Hell’s Kitchen are tree-lined, and every now and then you’ll see a horse-drawn carriage clacking its way towards Central Park. 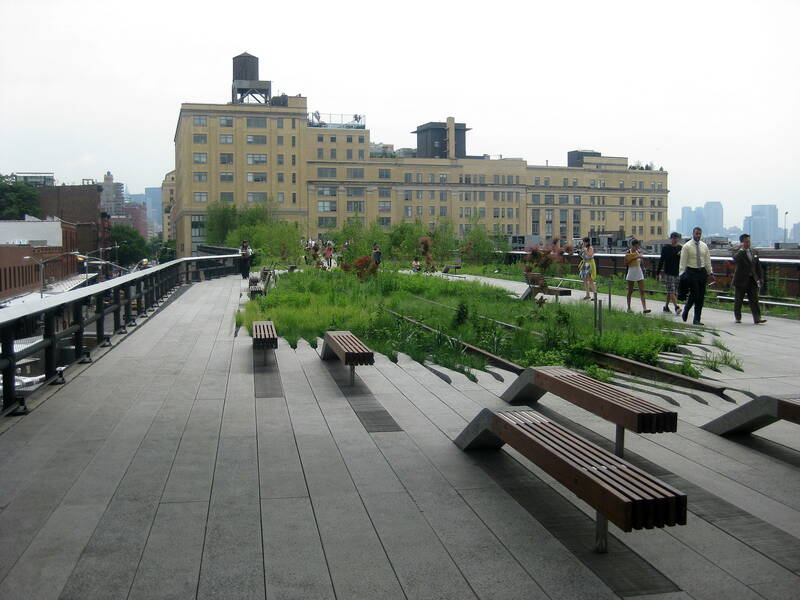 Small oases such as Hell’s Kitchen Park pepper the neighborhood, and the scenic High Line is on the doorstep. Plus of course, you’re always just a short walk from NYC’s biggest green space of them all.